In a new study, Berkeley Lab researchers found that commercial solar's installed costs are falling faster than residential ones, thanks to more lucrative incentives. The trend could be reversed as a result of changes in federal laws. The costs of installing solar energy systems dropped from $10.50 per watt in 1998 to $7.60 per watt in 2007, according to a Lawrence Berkeley National Laboratory study released Thursday. Those declines amount to an average of 30 cents per watt, or 3.5 percent, per year. The costs remained relatively flat in 2006 and 2007, however. The calculations, based on 2007 dollars, didn't include any cash rebates or tax credits. The researchers, Ryan Wiser, Galen Barbose and Carla Peterman, pored over data from 37,000 grid-connected solar-panel systems in 12 states. Arizona takes the prize for having the lowest cost for systems with less than 10 kilowatts in capacity, followed by California and New Jersey, according to the study, "Tracking the Sun: The Installed Cost of Photovoltaics in the U.S. From 1998–2007." Panel prices played a minor part in causing the cost declines. Instead, the cost of labor, inverters, marketing, among others, contributed to cheaper installations, the study showed. The researchers calculated the non-module costs and found that they slid from $5.7 per watt in 1998 to $3.6 per watt in 2007. "This suggests that state and local PV deployment programs – which likely have a greater impact on non-module costs than on module prices – have been at least somewhat successful in spurring cost reductions," according to the report. States with strong incentive programs also tend to have more companies competing for providing installation and other services. Arizona, California and New Jersey are among states that offer more generous tax and cash incentives. In fact, New Jersey's program was so popular that the state ended almost the entire rebate program last year (see Budget Shortfalls Could Shrink States' Solar Incentives). The Berkeley Lab researchers examined the average costs of installing systems that are less than 10 kilowatts in 2006 and 2007, and found that Arizona enjoyed the lowest cost, at $7.60 per watt, while California offered $8.10 per watt. New Jersey came in third at $8.40 per watt. Maryland's systems cost the most: $10.60 per watt. 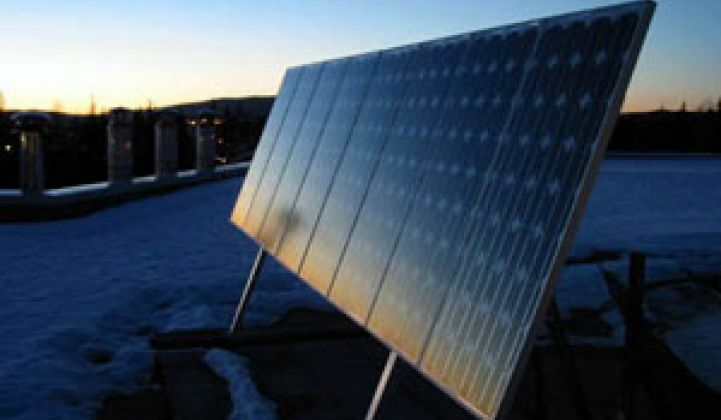 Looking at data for those sub-10-kilowatt installations in 2006 and 2007, the researchers also found that systems that use thin-film panels cost on average $0.5 per watt more than those using crystalline silicon panels. The difference wasn't as great for systems larger than 10 kilowatts. A residential system costs less to install if it comes with a new home, the study said. In fact, it cost $0.60 per watt less than similar-sized system in an existing home, the researchers found when they compared those installations in California in 2006 and 2007. State and federal incentives, along with those offered by some utilities, have been instrumental in making solar energy systems more affordable to homeowners and business. The researchers found that cash incentives have fallen while other types of lures have become more lucrative, including the federal investment tax credit (ITC). More incentives became available to commercial installations in 2006 thanks to a change in ITC. Counting all the cash and tax incentives – and factoring the taxes on those cash incentives – the researchers figured that the total after-tax incentives for a commercial system was $3.90 per watt in 2007, the highest during the 10-year period. In contrast, after-tax incentives for residential installations reached an average of $3.1 per watt in 2007, the lowest since 2001. This trend could reverse as a result of a change to the ITC this year that lifted a cap for residential installations, making the tax credit comparable to the one for commercial projects. Overall, the net cost of installing a residential system (after factoring all available private, state and federal incentives) reached an average of $5.1 per watt in 2007, roughly 7 percent below the 2001 levels, the study showed. The net cost for a commercial system averaged $3.9 per watt in 2007, which is 32 percent below the 2001 levels. The researchers said although costs for all types of systems remained flat between 2005 and 2007, they could fall dramatically in the coming years. Solar industry executives and analysts have predicted a decline of five to more than 20 percent in panel prices this year. Plus, the $787 billion economic stimulus package signed by President Obama this week also could significantly boost the solar market demand in the United States over the next few years.